English tenor Graham Clark made his Royal Opera debut in 1995 as Mime (Siegfried). 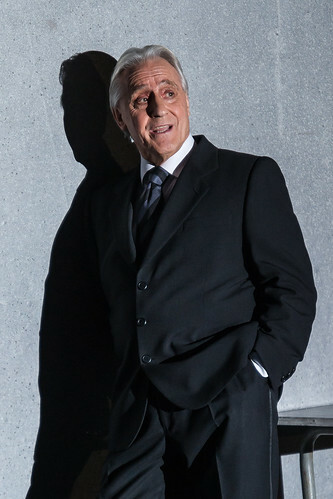 His many roles since with The Royal Opera have included Captain Vere (Billy Budd), Bishop of Budoja (Palestrina), Captain (Wozzeck), Andrès (Les Contes d’Hoffmann), Valzacchi (Der Rosenkavalier), Sellem (The Rake’s Progress), Monsieur Taupe (Capriccio in concert) and Shepherd (Tristan und Isolde). He returns in the 2017/18 Season to sing Elderly Prisoner (From the House of the Dead). Further roles at the Royal Opera House include the Marne Sergeant (In Parenthesis) for Welsh National Opera. Clark was born in Littleborough, Lancashire. He studied at Loughborough University and initially worked as a P.E. teacher and with the Sports Council before training as a singer with Bruce Boyce. 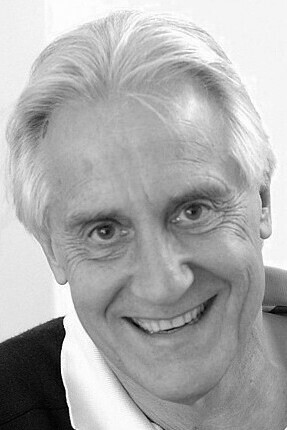 He began his operatic career with Scottish Opera in 1975 and was a company principal with English National Opera 1978–85. He has sung at all the leading opera houses in the UK and extensively in Europe and the USA. He performed at the Bayreuth Festival more than one hundred times over 16 seasons, and for 15 seasons for the Metropolitan Opera, New York. His repertory has included Loge and Mime (Der Ring des Nibelungen), Captain Vere, Herod (Salome), Captain and Mephistopheles (Busoni’s Doktor Faust, for which he won a 1986 Olivier Award). Recent engagements include Captain for Berlin State Opera, Fool (Reimann’s Lear) and Hauk-Šendorf (The Makropulos Case) for Frankfurt Opera, Jester (Der Schatzgräber) for Dutch National Opera, Nick (La fanciulla del West) for ENO, Dr Caius (Falstaff) for Paris Opéra, Glyndebourne and in concert with City of Birmingham Symphony Orchestra, Valzacchi in concert with the Boston Symphony Orchestra, Klaus the Fool (Gurrelieder) with Hallé and BBC Philharmonic and Shepherd (Oedipe) with the London Philharmonic Orchestra. 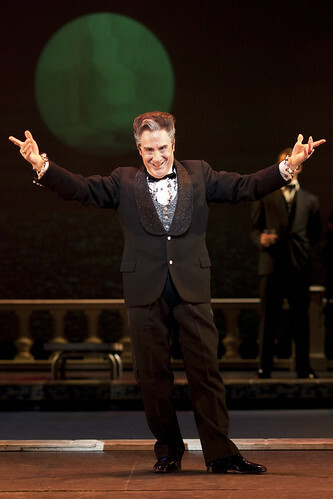 Clark has recorded for all the major companies and received three nominations for Outstanding Achievement in Opera. 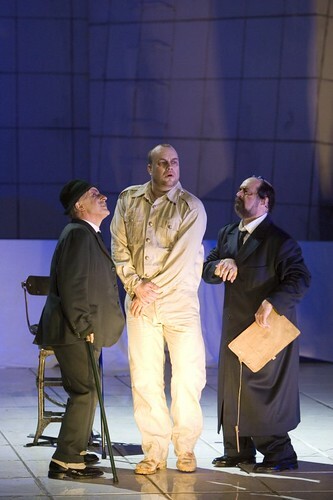 Graham Clark as Captain, Johan Reuter as Wozzeck and Kurt Rydl as Doctor in Wozzeck.